Dr. Gitkind received his undergraduate degree from Binghamton University/The State University of New York with a BA in history. He then obtained his medical degree from St. George’s University School of Medicine. 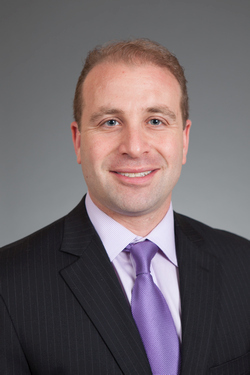 After an internship year at Flushing Hospital Medical Center, Dr. Gitkind completed his residency in physical medicine and rehabilitation at Montefiore Medical Center, where he served as chief resident. After joining the faculty of Montefiore Medical Center, he decided to further pursue his interest in the non-operative management of spine disorders by completing fellowship training in interventional pain management. Dr. Gitkind returned to the full-time faculty at Montefiore as the Chief of the Division of Interventional Spine in the Department of Physical Medicine and Rehabilitation. In this capacity, he played an integral role in working with the Department of Anesthesiology to create the Montefiore Multidisciplinary Pain Program. He now serves as the program’s Associate Director.